If you follow me on Twitter or Instagram, you probably know I spend a lot of time at Target. Over the years, I've developed quite the rapport with the store as it satisfies all my needs and cravings. When I crave Flaming Hots, I go to Target. When I need toothpaste, I go to Target. When I'm bored, I go to Target and walk every aisle. So, when Target invited me to be a brand ambassador and attend their secret fall trends fashion show in New York, I couldn't be happier. We about to take our relationship to another level. 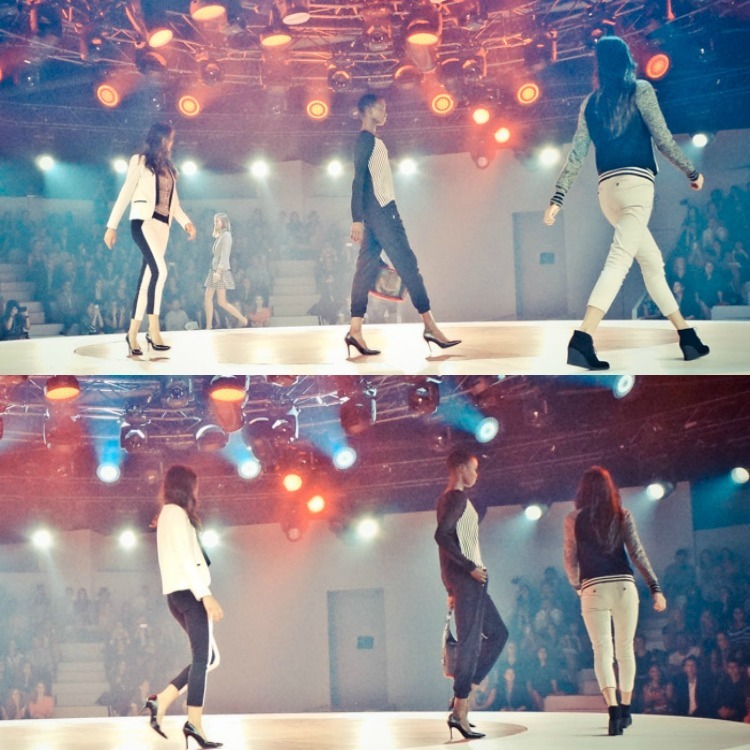 The show took place a few nights before NYFW at one of the Chelsea Piers. The space looked like Batman's lair if Batman threw fashion shows. Once inside the airy space, we walked through a dark tunnel with the red bull's eye projecting from every direction. Security and staff in black uniforms stood on both sides of the tunnel with headsets fastened and clipboards clutched close to their chests. At the end of the tunnel, a white wall lit up in bright lights greeted us. A small crevice took us to the other side where a coliseum like arena surrounded a circular raised platform. We were about to witness something special. It was truly a show. 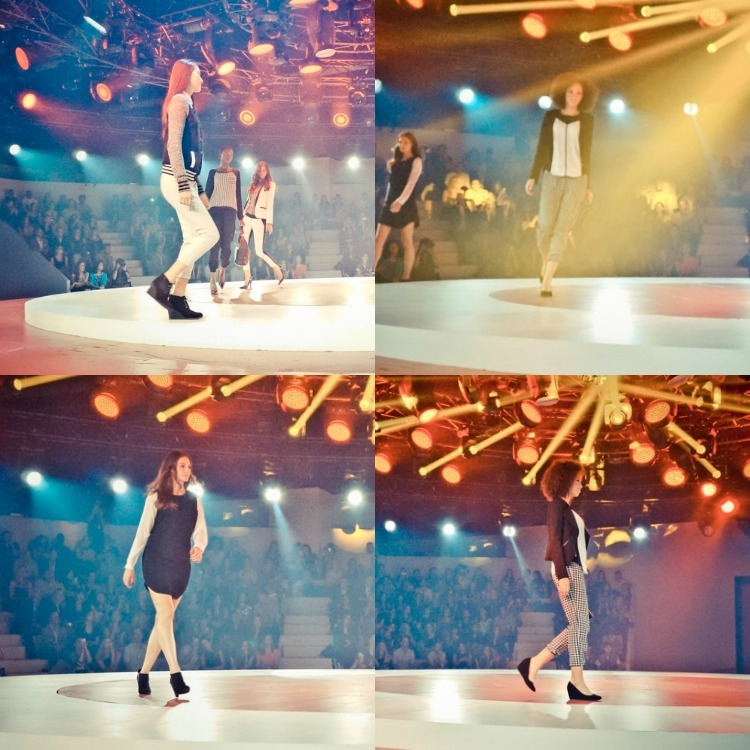 Models stepped out on conveyor belts and walked the platform in synchronized steps. The show was grouped by fall trends and in between each trend, dancers took to the stage. During the grand finale, dancers and models united for a final choreographed dance number on the bull's eye that was simply amazing to watch. Aside from being mesmerized by the visual stimulants, one of the fashion themes that really caught my eye was the black and white trend. There's just nothing more classic or chic. The color theme mixed sporty pieces like striped blazers, varsity jackets, and jeans with feminine colorblocking sheath dresses and plaid skirts. 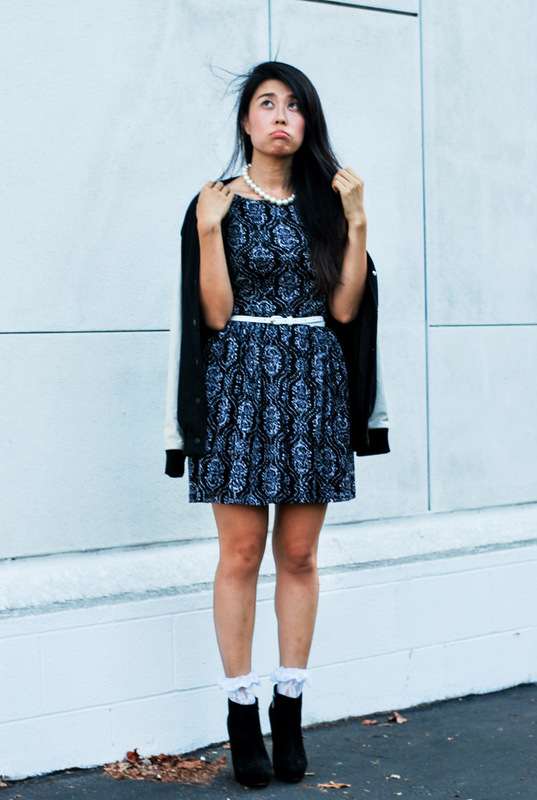 Inspired by the sporty yet feminine black and white trend, I recreated the Target runway look by combining my varsity jacket with a lace baby doll dress, pearl necklace, and skinny belt from Target. It's my interpretation of a girly tomboy. Gorgeous outfit, that dress is so beautiful! 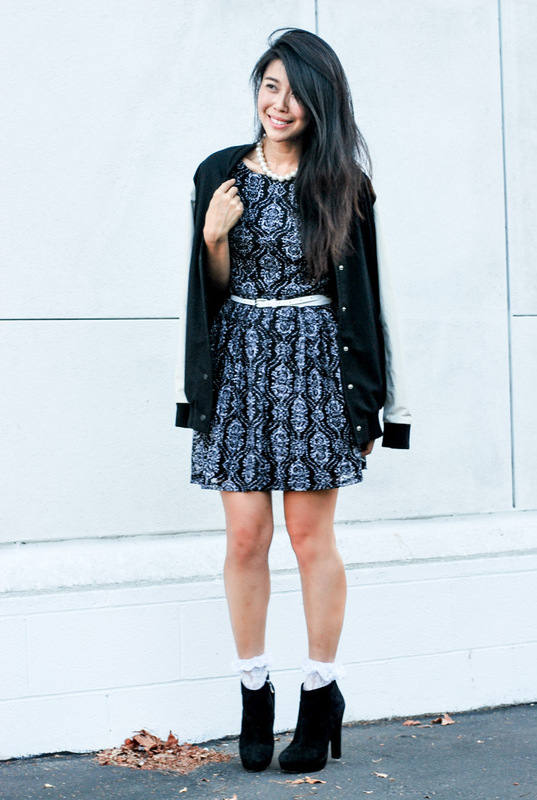 Love the frilly socks with those shoes. And that dress is so pretty! Cool look and exciting show! They created an intersting mood. Love the circle catwalk.